The Carolina Junior Hurricanes are proud to host the fifth annual NHL Youth Cup on October 6th - 8th for the 2008, 2006 and 2004 birth years. The weekend promises to showcase some of the best hockey talent in the country. We have secured ice at with the Carolina Hurricanes to hold the three championship games at PNC Arena on Monday. For the 2nd season in a row the Carolina Junior Hurricanes with the help of the Carolina Hurricanes will be hosting the 2018 NHL Youth Cup Tournament from October 6-8, welcoming more than 300 players (and 18 teams) from across the United States. The fifth annual NHL Youth Cup will be played at the Polar Ice House in Wake Forest. 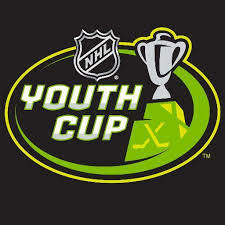 The NHL Youth Cup gives NHL-sponsored AAA youth hockey clubs an opportunity to compete in this prestigious tournament for all birth years from squirt minor through bantam major. Youth teams representing the New York Islanders, Philadelphia Flyers, Pittsburgh Penguins, Columbus Blue Jackets, Florida Panthers, Carolina Hurricanes, Nashville Predators, Washington Capitals and others will take part. The Junior Hurricanes will host the 2004, 2006 and 2008 birth-year age groups in the 2017-2018 season and then the 2005, 2007, and 2009 birth-year age groups in the 2018-2019 season. The even birth-year age groups will be hosted by the New York Islanders for the upcoming season. This is a big win for our association and youth hockey in NC and this will be the largest Tier I AAA tournament ever hosted in the affiliate.